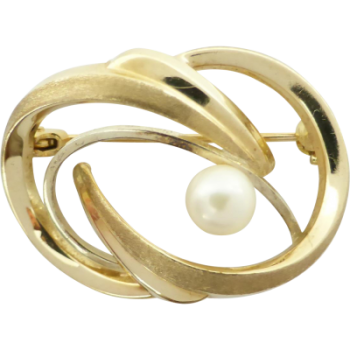 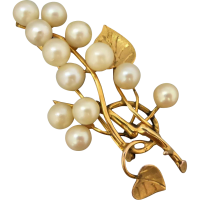 This timeless 9ct gold pearl brooch would make the perfect accessory to that ensemble. 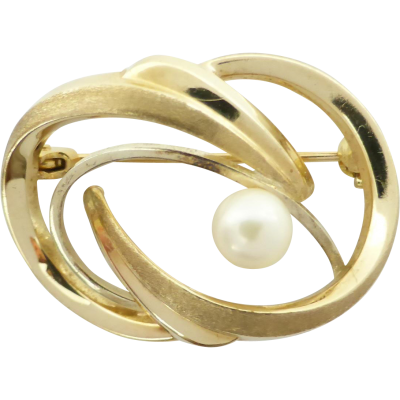 The lovely swirl design features matte and polished gold as well as one lustrous cultured akoya pearl. 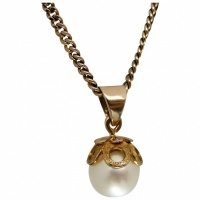 The cultured akoya pearl measures 5.1mm and is a white colour with very nice lustre. 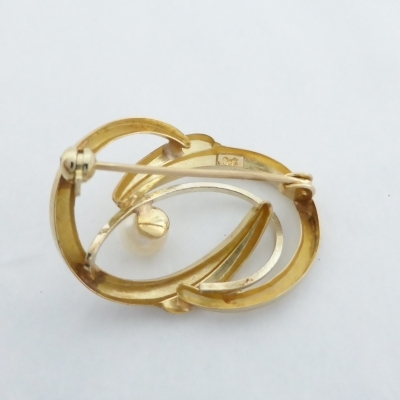 Pin and secure revolver attached to back. 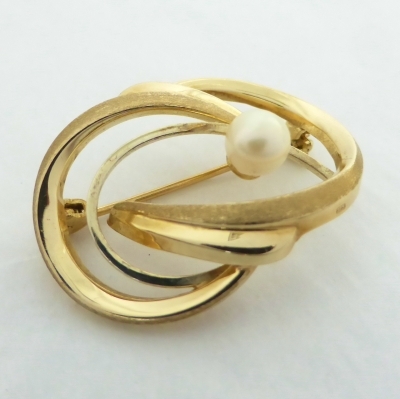 Size: 27.8mm or 1.09" x 20mm or 0.8"